About Spywares and the best Anti-spywares. As most of you might know spyware is a form of malware. Malwares are softwares that are used to intentionally collect information about a user or a machine or to damage a machine. The name malware was derived from combining the two words Malicious and Software. Virus, trojans, worms, spywares, adwares, rootkits are all malwares since they are all malicious sofwares. But spywares and adwares are written with the intention of making money where as viruses are mostly made with only a bad intention like destroying or damaging a computer. Spywares are basically intended to track the user's browsing habits and report it to the source so that they can make targeted advertising campaigns. But it is highly harmful too. There are variations of spywares that can can even log what you type (key logging) and thus lead to all sorts of privacy problems and Identity thefts. Spywares normally attach themselves to the browser and your browsing habits are send to the source so that they can collect information and using it for spamming and unhealthy marketing practices. The antiVirus tools do not detect spywares because they are not well defined as viruses , Trojans and worms. So that is why you need a tool that is specifically made to detect spywares. Even though spywares are not destructive like a virus, trojans and worms it can slow down the pc and is harmful as it can contribute to identity theft. And these are send to the source over the net. So again that means it can also slow down the Internet connection as it uses the bandwidth. It can hijack a browser and stuff. More malicious variants attempt to intercept passwords or credit card numbers as a user enters them into a web form or other application. Ways of getting a spyware, adware or both. The main thing to be noticed is that most spywares collects information about a user or a machine with the "informed consent" of the user. This is done by writing those legal things on the software that you install it without being suspicious about it. How many of you read the terms and conditions before clicking on the "I accept" button? This is why it is said that whenever you use a software that is not made by a reputable firm or well know firm you should read the terms and conditions before accepting it. The defense the spyware installing software manufacturers give is it was installed with the user consent and hence they escape any kind of legal pursuits against them. But along with these kind of people who install spywares into your PC with your "informed consent" there are others who don't even mention that personal information will be collected. So one of the most common way of getting a spyware is by using sharewares or bundled applications by companies whose reputation you don't even know about or companies that are well known (like Kazaa), who believes that collecting information about the user is alright. If you are installing those read the terms and conditions before doing it. But mind you, every person does not put it in the terms and conditions. 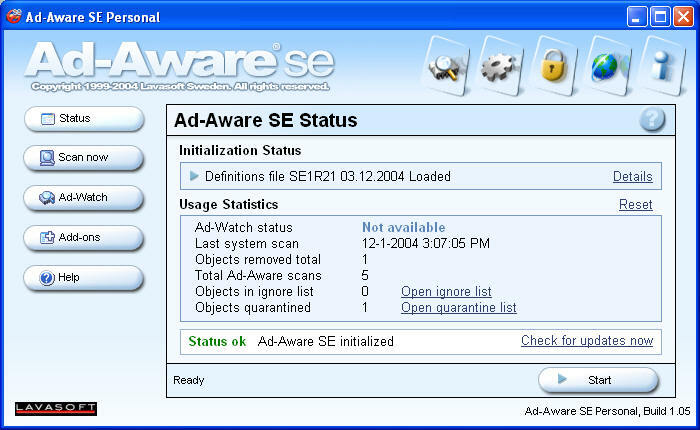 Programs like Kazaa, Download Accelarator etc:- are examples of softwares that combines spyware with adware. Another way of getting a spyware is when you install programmes that gives you free cursors, free smileys, free screen savers etc:- Any free programs or internet speeding softwares (remember download accelarator?) etc:- which are not reputed should be dealt with caution. There are many good and highly reputed free programs out there but along with that you will also find these kind of malicious softwares trying to entice people into downloading with the main intention of collecting information rather than providing better service. Using unfamiliar and unknown tools that autofills and using anonymous email sites that are non popular but looks enticing are all ways with which you can get these stuffs into your pc. Now a days on every nook and corner of the net you would see ads saying "your computer is infected with spywares. Click here to remove it now" or "Download this program to remove it now". Well clicking on those kind of things can only lead to more spywares being installed on your pc. Spywares are different from adwares. Adwares are softwares that automatically plays, displays or downloads advertisements to the machine with or without the user consent. There are spywares clubbed with adwares which is even more irritating. 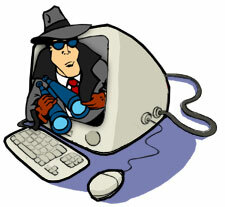 While viruses are illegal without a doubt spywares are yet to be clubbed into that category with certainity. But whether all spywares fall into the illegal category or not, there is no doubt that they are harmful not only to the PC but to the privacy of the user too. Spywares are everywhere now a days it is said that almost 90% of the computers in the world is infected by some sort of spyware. Ok, now you have a fair idea as to how you can get a spyware or adware into your pc. Some of these same things are the means through which you can get other sorts of malwares (virus, trojans etc.) into your pc. But viruses and trojans are a different class and to prevent getting them you have to take steps far more than dealing with spywares or adwares. And since there codings are different an Antivirus cannot detect most of the spywares. Viruses are more well defined. But spywares are not. And that is why it is advised that it is always good to have more than two Anti spyware tools in your PC. Update your Anti spyware regularly and scan your PC atleast once a week. efficient than some of the paid Anti-Spyware tools out there. This is the free Anti-spyware tool from Microsoft. So no wonder this requires Windows validation. This product was in the beta stage for a long time and now with this full version you get a great spyware detector that scans fast. It offers real-time protection. Whatever spywares the worldwide Spynet Community detects are constantly kept track of and the solutions are automatically downloaded to your PC through this program. It has advance protection and is a highly rated anti Spyware tool. Does not use much system resources. I remember using this prog a long time back since it was one of the first applications built to find and remove adware and spyware and it has come a long way since then. This was the prog. on which I saw the first spyware. It has a high number of definitions available and without doubt this is one of the best if not the best Anti spyware tool out there. No surprise that this got a 5/5 rating from the Cnet editors. It scans all modules loaded by processes, does the registry scan of multiple user accounts and the best part is that it uses less CPU and memory. It has a cool interface now and the scanning is fast. This guys have been in the business since a long time and hence they know how to bring out the best. One of the best free Anti spyware tools developed by Patrick Kolla. It has been highly rated by PC magazine and Cnet and was even metioned in BBC's fav tech related prog Click Online. Since this prog. came out a few years back I have started using this along with ad-aware. 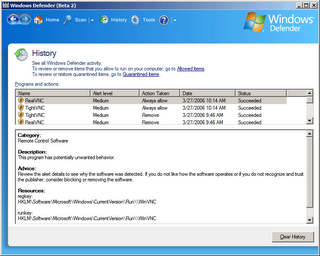 The scanning however is not as fast as windows defender and Ad Aware. To read more and download this great free tool go here. Ewido is already known around the world as a nice anti-malware (they always focus on not just spywares but on some trojans too, even though not as well covered as an ANtivirus would)tool. But they had some limitations. But after the merger with AVG it has got better. There is a paid version and free version available for this software. The free version does NOT allow automatic online-update, real-time monitoring of the entire system, self-protection at kernel layer guaranteeing gapless monitoring and does not allow you to use for commercial purposes. But neverthless with protection against 350,000 threats the free version without the mentioned feature is still a good utility to have. It does not take much system resources. But AVG- Anti-spyware unlike the other three products listed here still has to earn a high reputation in the field of Anti-Spyware softwares. All the above mentioned tools are great free Anti spyware tools but like I mentioned earlier when it comes to spyware it is always good to use more than one because spywares are not well defined.So a spyware that one prog might detect the other one might not. So use two Anti-Spywares in combination and chuck those fleas out of your PC. And remember that ideally one must have an Anti-virus, Anti-Trojan, Anti-spyware (Ideally two), Anti-rootkit and a firewall. This is a fantastic Anti-spyware/malware tool but it should be used only by advanced users. It the computer is still having problems after using Anti-spyware programs this tool can be used. This tool should be used only by someone who is experienced at reading the log outputs because fixing the wrong items can making your machine unbootable. What this tool basically does is to give you a list of what is found in registry or system files. It lets you review the logs and identify the problem. That way an experienced user can determine what is infecting the machine. More than a removal tool this serves as a tool that helps you diagonise the issue. It will remove the entries if you want to. But that won't cure the underlying problem. Sometimes just removing the entries can solve some issues. But if you don't know what you are doing stay away from it. But still you can just run this program and look for any suspicious entries or if you really know what you are doing then you can use this to clean up the entries left behind after you have properly removed the hijacker or the malicious software using the right tool. If you are not an expert One of the best thing to do is to run Hijack This on your machine and then post the log on one of the Hijack This forums available on the net where experienced people will give you advice. You can post your logs at Hijack This forums like the one you find here at this link. Here is an excellent tutorial for using Hijack This. 27 steps to prevent virus. keeping your password secure and Related softwares.